Students Stumpf Pascal, Katharina Wolff, Marvin Alexander Vibora Münch and Jan-Philip Bokeloh from Germany andAbel Duran, Jana Puzderliski and Marko Modrinić from Serbia share the first place at the International Project Management Championship 2018. 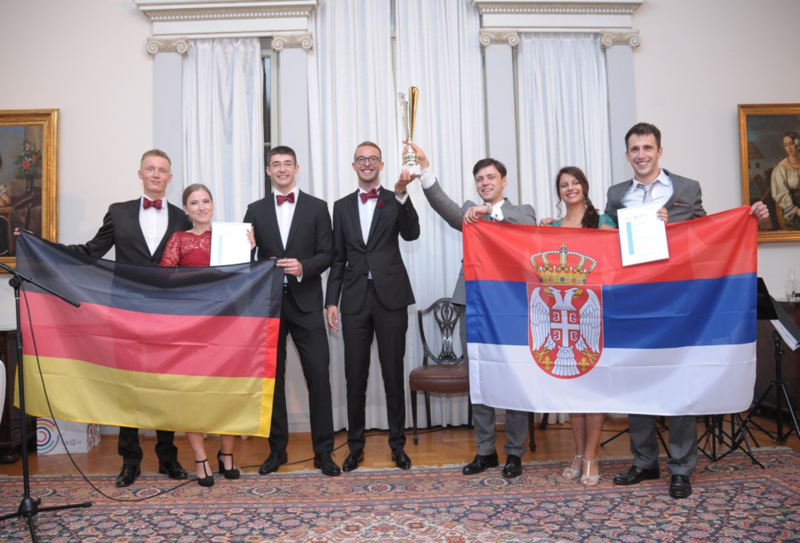 The finals of the fourth International Project Management Championship 2018, which has gathered more than 2,600 students from prestigious faculties and business schools around the world during the past four years, was held on June 2, 2018,in Belgrade Young Crew Serbia. Out of a total of 192 teams and 760 competitors, that participated in this year’s competition, the top 9 teams demonstrated their knowledge and skills in project management in Belgrade, through a simulation of the real-life project, provided by the Open Management Education Center (OMEC). Teams from nine countries – Germany, France, the Netherlands, Croatia, Finland, Lithuania, Italy, Spain and Serbia competed in the finals of this year’s competition. 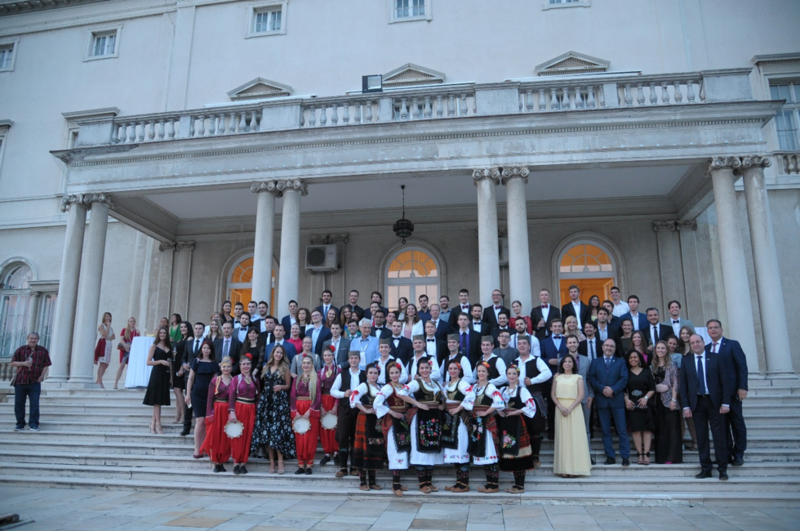 The winners were announced during the Gala dinner at the White Palace in Belgrade. By the decision of the jury, based on the number of points gained during the simulation, for the first time in the history of the competition, two winners were declared, and teams from Germany and Serbia were awarded the first place. Since Serbia was a last year’s winner, the trophy and the next competition goes to Germany. 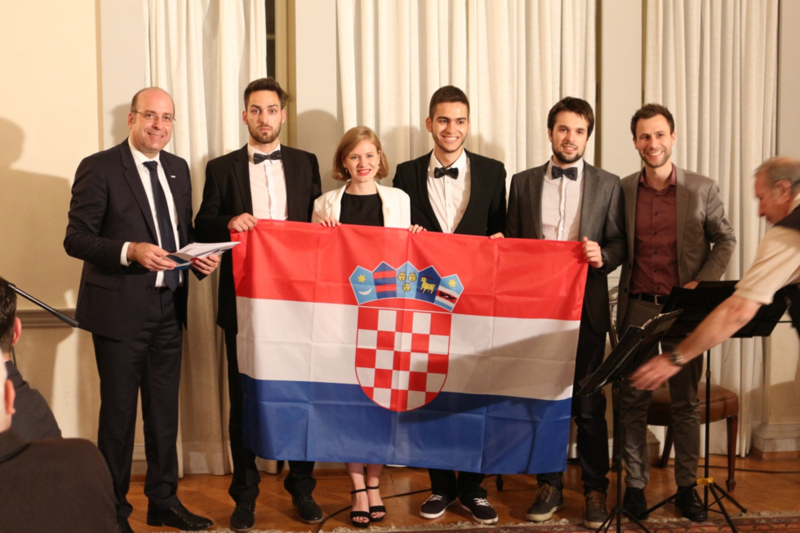 The third place was awarded to the Team Croatia (Lovre Skočić, Dora Novak, Paulo Katić, Petar Perković). This year competition gathered a number of experts in project management, such as the president of the International Project Management Association (IPMA), Mr. Jesus Almela Martinez, IPMA CoD Chairperson, Mr. Reinhard Wagner, Vice President of IPMA for Education, Training and Young Crew, Mr. Gholamreza Safakis, as well as numerous representatives of the industry, trainers, professors and students. The competition is kindly supported by Sauter Training & Simulation(STS)and Open Management Education Center (OMEC), as the main sponsors. Supporting Sponsors were Faculty of organizational science – University of Belgrade, Elixir Group, AIGO BS, Bambi a.d.